This is a parent workshop we ran this year. I developed the slides and we co-presented on different aspects as the EdTech team. Our school hosted a in-school two-day conference with Jeff Utecht as Keynote Speaker. I presented two workshops to promote blogging as an alternative for ePortfolios and creating a space for students to share learning with the community. 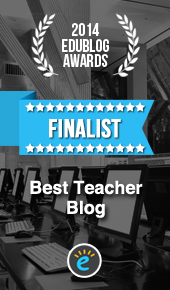 We’ve since had several EY2-G3 classes taking this on board using the Easy Blogger Jr App. In March 2015 I attended the ECIS Tech Conference and presented on our school’s use of EdTech in Early Years. Many students love using iMovie in the classroom and to support this I’ve run workshops on using iMovie and Green Screen with students. Below is a brief introductory handout teachers were given to support what they learned in the workshop.